A few weeks ago, we ran a feature on eight year old Wilf Groves, who has been working tirelessly to make our neighbourhood a cleaner and pleasanter place to live in. 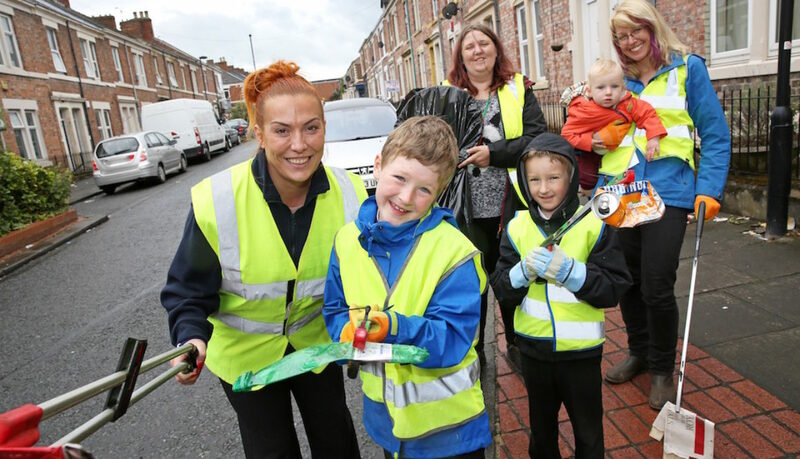 A pupil at Moorside Community Primary School in Arthur’s Hill, Wilf has not only helped set up a regular litter pick in the area, but spoken at school assemblies to some 500 young people his age about the importance of keeping our streets clean. During the assemblies, he discussed facts about recycling and the effects on nature, encouraging everyone to pick up litter and put it in bins when they are out and about. He even developed his own slogan, ‘We won’t put up with litter any more’ and engaged the local community with his enthusiasm and determination. He has personally collected over 200 bags of litter, and uses his playtime each Wednesday to pick up litter in the playground. Now, Wilf has achieved national recognition from the Prime Minister’s office for his efforts, becoming a recipient of a Points Of Light award, which recognises “outstanding individual volunteers – people who are making a change in the community”. Wilf is part of a wider initiative to tackle littering in the Wingrove ward of the city, which includes New Mills, Spital Tongues, Arthur’s Hill, Wingrove and Fenham. The community improvement programme is funded by Karbon Homes, which donated £12,400 to Greening Wingrove to engage with local people, help educate them and improve their local community. As a result, regular volunteer litter picks have been established in the Arthur’s Hill terraces, Nuns Moor Park, Severus Road, and Wingrove Gardens. Locals have also teamed up with volunteers from Elswick’s Proud of the West End to clean up Westgate Road. Melanie Rees, Community Involvement Officer at Karbon Homes, said the scheme was “a huge success”, had engaged people of all ages and backgrounds and made “a real difference”. A ‘big’ community litter pick will be taking place in Wingrove ward Saturday 19 August 11am. New volunteers are especially welcome, and organisers will provide all equipment. It will be followed at 1pm by a barbecue. More details about ‘The Big Pick’ can be found on our events page. Our picture shows, left to right, Melanie Rees from Karbon Homes, Wilf Groves, Katrina Jordison from Greening Wingrove, Wilf’s younger brothers Ted (5), Bertie (1) and mother Sarah.